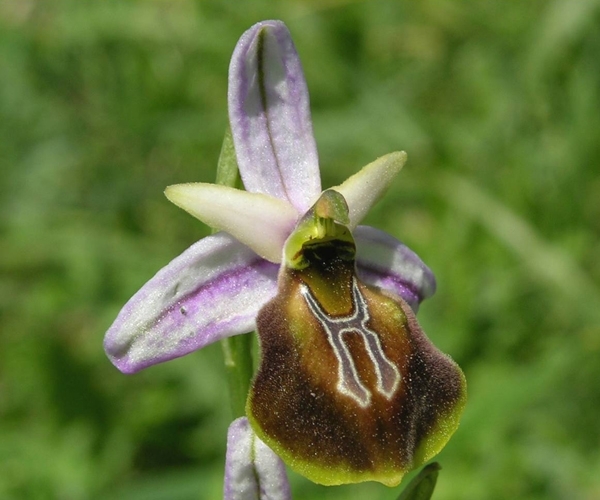 The main objective of the project is conservation, research and education studies on critically endangered (CR) Ophrys lycia (Lycian Kaş Orchid) which is locally endemic Kaş District of Antalya. The project was conducted by Akdeniz University and Antalya Regional Directorate of Forestry with the support of TÜBİTAK (The Scientific and Technological Research Council of Turkey). The main objective of the project is conservation, research and education studies on critically endangered (CR) Ophrys lycia (Lycian Kaş Orchid) which is locally endemic Kaş District of Antalya. The project was conducted by Akdeniz University and Antalya Regional Directorate of Forestry with the support of TÜBİTAK (The Scientific and Technological Research Council of Turkey). The field studies for determining the exact distribution areas of the species and preparing process of the project documentary were supported Association for the Conservation of Antalya Orchids and Biodiversity (CAOB) members. The project aiming to conserve Ophrys lycia for the benefit of future generations was conducted under four main heading; field studies, ecological studies, educational studies and publicity studies. The individuals of this species were counted and the exact spread area and species inventory was formed during the field studies. Each individual of the species located in the area was identified by its GPS coordinates. These locations were processed to data base using GIS software. Three dimensional terrain model and height, slope and aspect maps of the spread of Ophrys lycia were created with the help of digital maps. "Special Protection Area" was constituted in the state-owned region allied to Directorate of Forest Administration of Kaş in Ağullu where the main spread area of species and this area was enclosed by a security fence. With ecological studies, the habitat preference of species was clearly identified, soil characters were analyzed, the pollinator species was identified and the microfungus species that form a symbiotic relationship with seeds of Ophrys lycia were determined analyzing the soil samples. Also, appropriate amount seeds obtained from the field activities were transferred to Seed Gene Bank of Turkey. The nature education was given to the students of Ağullu Elementary School for the development of their nature awareness in their school. T-shirts were prepared with pictures of the Ophrys lycia and the statement “I exist only Kaş in the world”. Please, conserve me, S.O.S. Save Our Species”. Every stage of the project work will be documented by videos and photographs and the finally a documentary was done in order to increase impact effect of the project. Please click for Lycian Kaş Orchid Documentary.